Employers all throughout industry face a human capital crisis that’s only going to get worse before it gets better. Thanks to a worldwide skills gap and record-low unemployment rates, companies find it increasingly difficult to hire the skilled workers they so desperately need. At the same time, there’s a large population of people who often encounter great difficulty getting hired: those with a criminal record. These people comprise a nontraditional talent pool of surprising size. Currently, there are approximately 2.3 million Americans incarcerated. Every year, around 650,000 people re-enter society after having been incarcerated. Could this population be the solution to the skills gap? The impact of skills training on such a huge population has tremendous potential for both the individuals and society as a whole. For example, a recent study revealed that participation in correctional education results in a 43% reduction in recidivism. While skills training holds great potential for bridging the skills gap and providing hope for a better future to those re-entering society, correctional institutions must be careful to invest only in quality training programs that teach the relevant skills that industry needs. Second chances will only be successful to the extent that individuals are qualified for open jobs upon release. 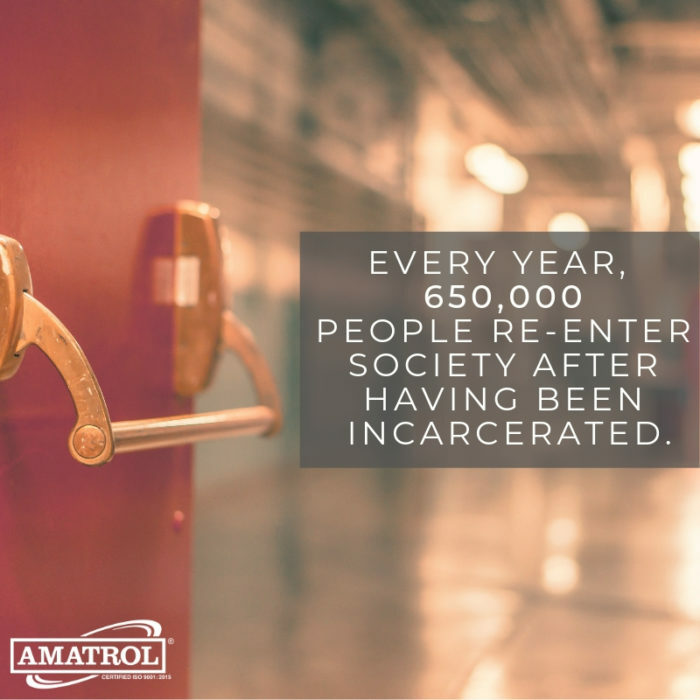 Amatrol has helped correctional institutions in several states create the types of skills training programs that empower individuals to move beyond their past circumstances to build a better future. Using portable training systems with locally-installed multimedia curriculum, instructors using these programs teach incarcerated individuals the skills employers desperately need. Amatrol’s eLearning offers flexible, self-directed technical training with comprehensive content and exceptional interactivity for practical skill development. Amatrol’s curriculum features a highly-interactive, multimedia format that includes stunning 3D graphics and videos, voiceovers of all text, and interactive exercises designed to appeal to learners with different learning styles. Amatrol’s curriculum can be installed locally via CD-ROM, so Internet access is not required. To learn more about Amatrol’s eLearning, click here. Amatrol’s hands-on training systems are loaded with real-world, industrial components to enable learners to practice on the type of equipment they will encounter on the job. These portable systems have a remarkably small footprint that allows for sharing between locations. They can also be locked and stored when not in use. Although portable, these systems don’t sacrifice learning outcomes for flexibility. Amatrol’s portable systems offer the same type of hands-on training with comprehensive interactive multimedia curriculum available in full-size training systems.